If you're anything like me then you know craft supplies can quickly take over your home. I'm constantly buying new supplies that I find on clearance or that spark my creativity. The problem was, they ended up being thrown in bags and boxes and I had no idea what I actually had. Sound familiar? Last year, I finally got fed up with my mess and completely transformed our unused office closet into my dream craft closet. It's been almost a year since it's been completed and surprisingly it pretty much looks the same. It's been amazing to actually be able to find what I'm looking for and see what supplies I have on hand. Even though this system has worked well, I'm constantly looking for new ideas and ways to improve the organization of my stash. 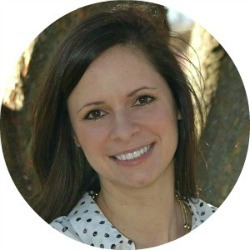 One of my favorite places to look for great craft room organization is Hometalk, a large online community where professional and DIY enthusiast share advice, projects and ideas about home and gardening. You can check out my latest board, Organized Craft Storage where I've gathered 18 fun and creative ways to organize your craft room. 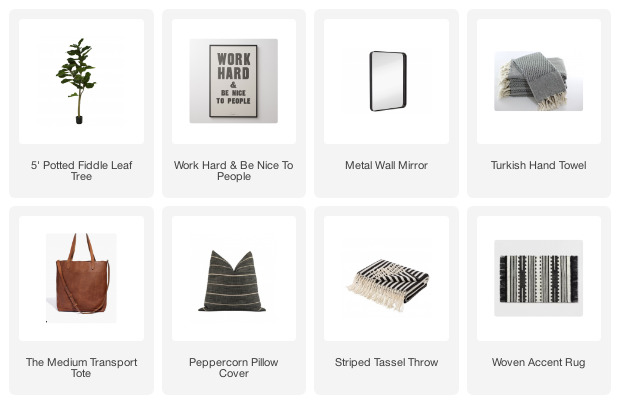 Need more help organizing? Here's a few strategies I used to organize my own craft space. 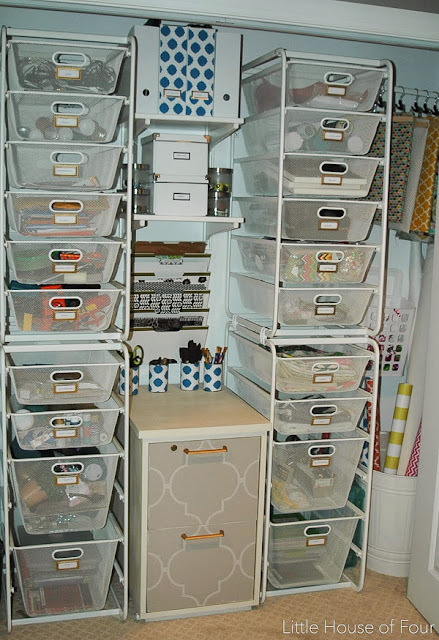 Take everything out of your closet (or where you store your craft supplies) and take inventory of what you have. Do you have items that you never use? Get rid of anything old, duplicates or things that are collecting dust. There's no sense in cluttering up your space with things that you'll never use. Are there supplies that you use often? What about things you never use? Do you have a stash of paints or fabric? Gather like items and store them together for easy access. My groups are pretty simple and include categories such as spray paints, painting supplies, tools, fabric, scrapbooking, ribbon, etc. Make sure to keep your most used items as accessible as possible. You don't want to be removing boxes or bins to get to what you need. There's no sense in getting all your supplies grouped and organized if you don't have anything labeled. You don't have to get fancy, but make sure you have each and every bin labeled to easily locate items. My favorite labels to use are these shelf adhesive labels by Martha Stewart. I use them a lot throughout my house to keep everything neatly organized and labeled. 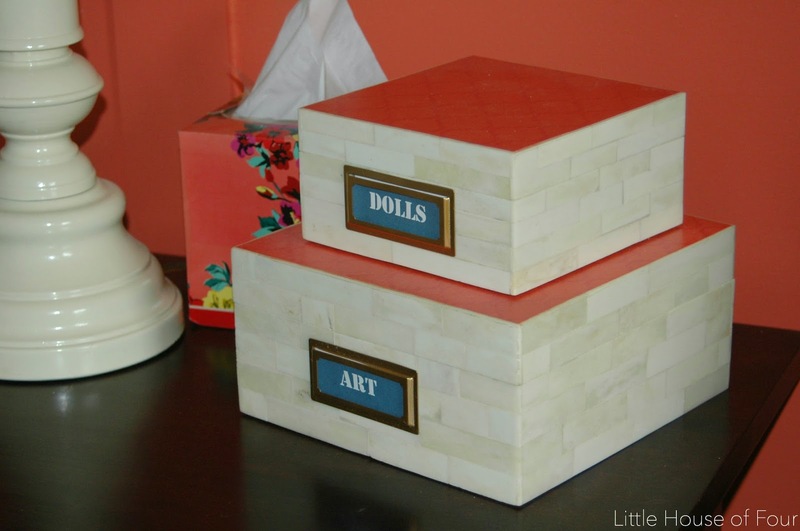 Do you keep your craft supplies away from where you actually craft? My craft closet is in our basement, but I always end up crafting in our garage or at the dining room table. To avoid the clutter at my table and allow for easy clean up at night, I have a basket in our upstairs hall closet that houses craft supplies. Whatever project I'm currently working on goes in the basket. When I'm all done with that particular project the supplies get put back neatly in my craft closet. 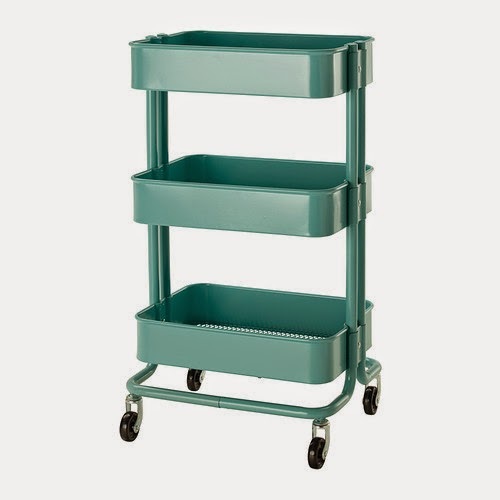 Another awesome product that I love for mobile store is the RASKOG cart from IKEA. 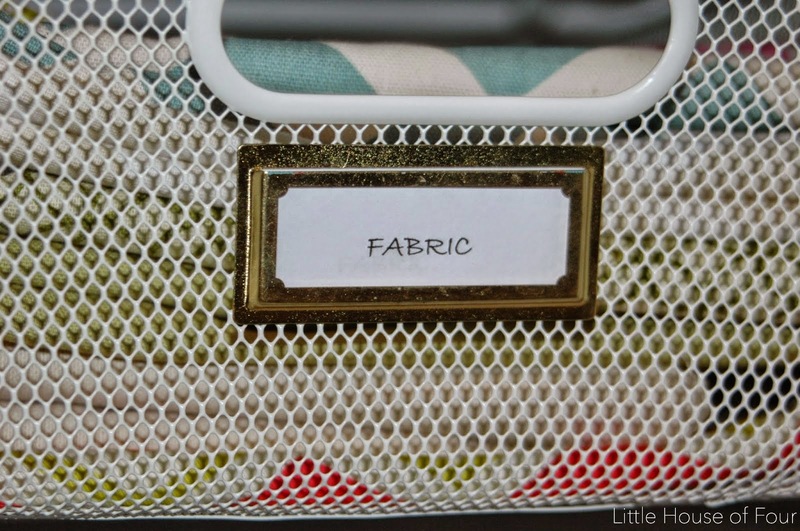 It has so many great uses and is perfect for craft storage. Whatever your method of organizing, let's make 2015 the year that we all get organized and stay organized! 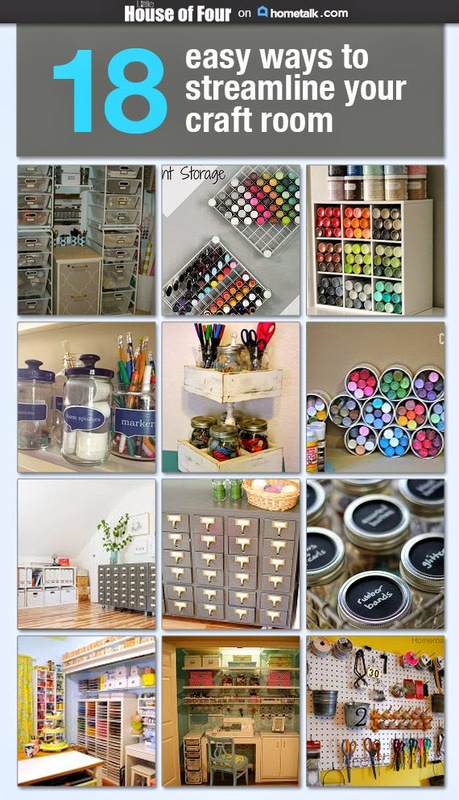 wow a crafters dream workspace! 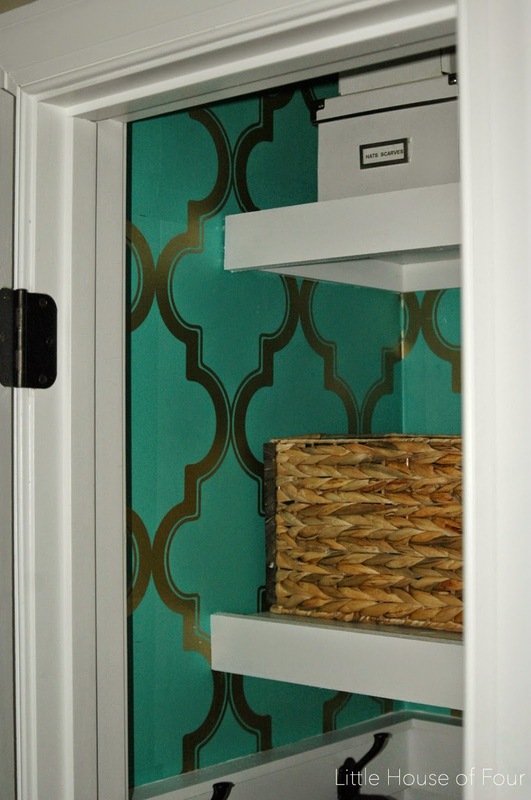 Your craft storage closet is AMAZING! I'm so jelly! These are all great ideas that I hope to put into practice in my craft room this year! Great tips! Having craft supplies neatly organized and easy to find can make you so much more creative. There is nothing I hate more when I'm working on a project and can't find what I need....or I know where it is, but have to move boxes and bags to get to it. I love that your craft space is still working for you a year later. Katie, this is SUCH a great post. Your tip about mobile storage is genius. I also am typically working on projects away from my craft area, and I get annoyed with myself leaving everything out all over the place. I need a box to keep my current project supplies in when I'm upstairs. Thank you SO much for the great idea! !